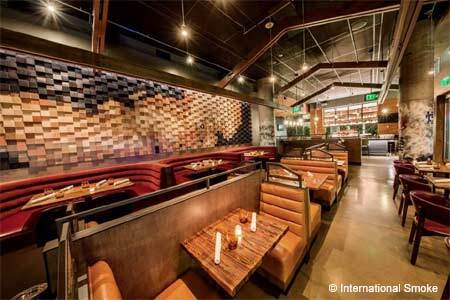 A lively and bustling restaurant that gives equal thought to vegan/vegetarian and omnivorous dishes. 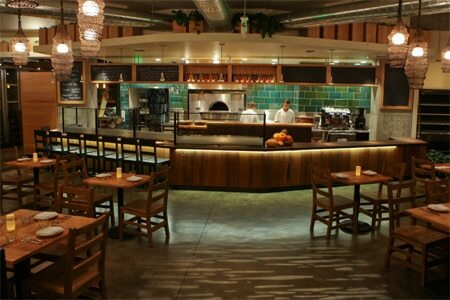 : Located near UC Berkeley, adjacent to the East Bay's greenest building (the David Brower Center), Gather is a bustling and lively restaurant with high ceilings, warm wood tones and design details that evoke urban farming. It's also a restaurant where vegan, vegetarian and carnivorous customers have an equal abundance of thoughtful options. The open kitchen produces dishes from pure ingredients that sing of the land or water from which they came. Tuna tartare rounds with salsa verde, potato mousse and oyster aïoli carry large fried nori fins. An autumn dish involving assorted and exciting mushrooms is visually reminiscent of forest fairy houses. Generously portioned, vibrant salads of greens, nuts and fruit are nicely balanced and composed. Desserts might range from yellow watermelon granita to an apple crisp with graham crust and makrut lime ice cream. Gather's commitment to locally sourced, organic and sustainable products trickles into the beverage program, which includes organic spirits, wine and kombucha on tap.